It is hard to be proud of a beautiful series' 3D resurrection in Gear Gear Xrd-SIGN- when it is already so eager follow in the shallow re-release footsteps that plagued Gear Gear X2 for nearly ten years. 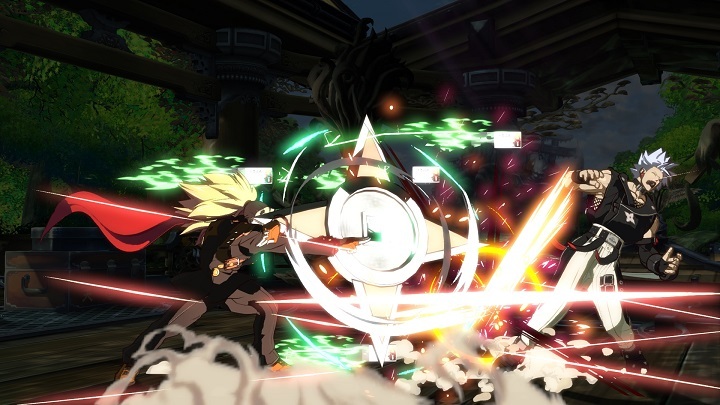 Despite somewhat feeling like what the original release should've been at launch last year's rocking Gear Gear Xrd: Revelator generally earned its place as a bombastic fighting game follow-up. That game had it all: a fully-featured sequel story mode (that gets surprisingly good), five entirely new characters, smartly revamped gameplay systems and online, and essentially the best tutorial in a fighting game ever. This year's annual follow-up in Guilty Gear Xrd: Rev 2 has, well, two new characters and feels like a premium balance patch for the most part. Now, I'm not going to lie. I genuinely adore Guilty Gear Xrd: Rev 2's two new playable characters. Baiken and Answer feel right at home with the already wonderful diverse character cast and now brings the current total to 25. The fan-favorite Rurouni Kenshin inspired and one-armed lady samurai Baiken finally makes a return in Xrd's gorgeous 3D art style. Retaining familiar skills like randomly kicking a tatami mat into the air, grabbing foes from afar with a weird mechanical claw, and even her signature parry-focused mechanic are there as well as a few others. Baiken does seem simplified compared to her 2D counterpart, especially her combos, but she remains quite enjoyable to play and her rejiggered parry mechanic still feels very execution heavy to use effectively. There really is not a whole lot new aside from those two (very fun to play) new characters, however. Everything else included comes across as very subtle gameplay refinements more than anything else. Don't get me wrong, if you haven't played the previous iteration Guilty Gear Xrd: Revelator, Rev 2 is absolutely worth one's time and may arguably be the best 2D styled fighter this console generation. 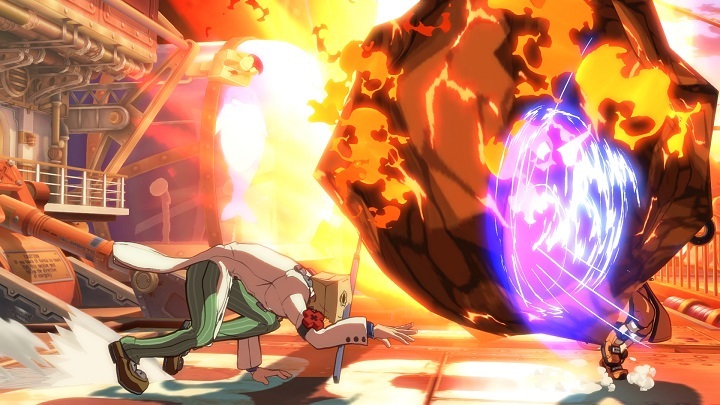 As a retail follow-up to Revelator, however, it is quite lacking as an overall package. For returning players from Revelator it can certainly come off as a $20 DLC pack with two new characters (or $40 if one is getting the disc version to replace it) and character re-balancing. Sure, some characters have new abilities, like Faust has extra items to toss or Ramlethal gets two added sword skills, but most of the cast has seen very few significant balance changes (Both my boys Slayer and Potemkin got almost no changes at all despite being extremely low ranked competitively). That said, it is kind of neat that one can change between the balance changes in Revelator and Rev 2 at any time though if one is so inclined. While this update approach is not entirely uncalled for for Arc System Works standards -- as they are notorious for character DLC being sold at $8 a piece -- it can still feel quite thin especially for how few single player additions were added as well. What new single player content it does include does not really help Rev 2's case either. Former characters that didn't have arcade mode-like "Character episodes" now have them as well the two newcomers but they generally add so little story-wise beyond teasing at least one more familiar Guilty Gear X2 face (which will highly likely be DLC or appear in yet another future version). The most substantial piece of storytelling is in the "After Story A" chapter which, while decent, takes less than 20 minutes to complete following the main story (though, it's safe to assume there will be more to come based on naming alone). Guilty Gear Xrd: Rev 2 is Arc System Works's most obvious attempt of a retail cash grab under the Guilty Gear Xrd name. As tempting as it is to praise an already great fighter that brings just enough excuses to play it once more -- like two awesome and very fun new characters. It is difficult to not feel somewhat shortchanged following right after last year's iteration when Guilty Gear Xrd: Rev 2 is willing to offer so little that is genuinely fresh as a whole. If one hasn't played Guilty Gear Xrd in any form, this is technically the most complete version to date with a budgeted retail price of $40. If you have, well, Guilty Gear Xrd: Rev 2 does not make any real strides to impress beyond satisfying die hard Guilty Gear fans that are willing to pay for what is basically $20 DLC pack with balance changes and two new characters.